The Asian Development Bank (ADB) is convening its Annual Meeting in Germany for the first time. From 2 to 5 May, international representatives from business, politics and civil society will be meeting in Frankfurt to discuss the financing of sustainable development in Asia. 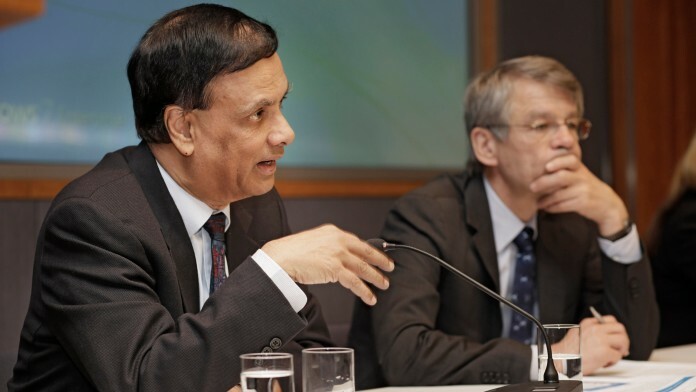 From 2 to 5 May, more than 3,000 representatives of business, politics and civil society will be attending the Annual Meeting of the Asian Development Bank (ADB) in Frankfurt am Main. It is the first time that Germany will host this event, the venue of which rotates and was last held in Europe seven years ago. "Holding the Annual Meeting of the Asian Development Bank in Germany provides the opportunity to bring together key players", said Hans-Joachim Fuchtel. The Parliamentary State Secretary at the German Federal Ministry for Economic Cooperation and Development (BMZ) is chairman of the 67-strong ADB Board of Governors and a member of KfW's Board of Supervisory Directors. He underlined the fact that "the key to successful new concepts lies in developing them jointly, between Germany and Asia and with the involvement of the private sector and civil society". Twelve projects co-financed by KfW and the ADB are currently ongoing. KfW has received EUR 158 million in promotional funds from the German Federal Government and supplemented this with an additional EUR 1.3 billion of KfW's own funds. The projects relate to energy, decentralisation, adaptation to climate change and urban development. "ADB is important for us because, as a regional institution, the Asian partner countries perceive it as their own development bank", explained Roland Siller, member of the Management Committee of KfW Development Bank. Asia, a flourishing region, faces the challenge of mobilising sufficient capital to fund environmentally and climate-friendly development. This is why one of the goals of the Annual Meeting is to integrate the private sector more closely into the financing of sustainable development. The ADB is involved in social and economic projects which are intended to improve the living conditions of people in the region. The main objective of the bank, which bases its policy on the UN Sustainable Development Goals, is to alleviate poverty. Germany participated in the establishment of the ADB in 1966 and is now its largest European shareholder. It provides 4.3 percent of the Asian Development Bank's capital. At the Annual Meeting in Frankfurt, Germany will showcase itself principally in the areas of renewable energies, energy efficiency, climate change, sustainable supply chains, vocational training and urban development. Visitors will also be able to learn about successful examples from real life at the "City of Sustainability" exhibition. Heavy industry in the catchment area around Beijing with its 110 million inhabitants should be scaled back to reduce the amount of pollutants entering the air. KfW is supporting the change with the sum of EUR 150 million. KfW and the ADB are supporting structural change in the metropolitan area of Beijing. Smog, fine dust and pollutants make it difficult to breathe in and around the city of Beijing on many days of the year. Some 110 million people in the metropolitan areas of Beijing, Tianjin and Hebei suffer from the poor quality of air. The province of Hebei in particular is affected by heavy industry. Coal, steel and cement plants emit hazardous pollutants. China has now resolved to push through structural change in this region, which KfW is supporting with EUR 150 million on behalf of the German federal government. The Asian Development Bank (ADB) is contributing the equivalent of EUR 263 million. KfW is relying on an innovative tool in this context: the promotional loan will only be paid once China has passed laws and regulations to trigger the structural change. The contracting parties have agreed on 17 political measures. "This allows for intensive political dialogue with the Chinese partners," emphasised Christine Heimburger, KfW Director for East Asia and Pacific. "It is a pioneering approach." Both the tie-in with the changes to general conditions and the joint financing with the ADB are novelties in KfW's cooperation with China. In Hebei, the air pollution comprising sulphur dioxide, nitrogen and particularly fine dust is often many times higher than the thresholds set by the World Health Organisation (WHO). Alongside industry, the growing volumes of road traffic, heating with outdated furnaces and the burning of agricultural waste only impair the air quality further. Respiratory diseases are widespread. The people living in the industrial province of Hebei also have lower living standards than those in the neighbouring region. Their incomes amount to just 40 percent of the residents in Beijing or Tianjin. The structural change is designed to promote education and training so that the workers in heavy industry can get new jobs when their factories are closed down. This is because the plan to reduce air pollution centres around a much lower consumption of coal, expanding the use of renewable energies and public transport as well as creating alternative jobs. The "Clean Air for Hebei Action Plan" includes 50 individual measures that are to be implemented until 2017. This includes reducing iron and steel production by 60 million tonnes, cement production by 60 million tonnes and the use of coal by 40 million tonnes. Power lines, overhead cables and substations are channelling electricity generated from renewable sources of energy to urban centres in India. KfW and ADB are joining forces to finance the expansion of the country’s grid. Electricity from renewable energies is generated in one part of the country, but is needed in another: this is a problem not only in Germany, but also in India. There, renewable energies are to account for 15 % of the electricity supply by 2020. On behalf of the Federal Ministry for Economic Cooperation and Development (BMZ) KfW is promoting an energy turnaround in India. KfW is contributing to the expansion of the electricity network with more than a billion euros – one of the largest loan packages in its history. These funds are part of the more than two billion euros in promotional funds for Asia, as agreed by KfW and the Asian Development Bank (ADB) in a joint letter of intent in 2014. The energy needs of business and the 1.2 billion population of the country are growing steadily. Fridges, televisions and electric lighting will in the future become standard for many Indians too. In spite of the ongoing economic growth, one quarter of the population is still living without any connection to the power grid. Yet electricity is generated from hydropower, solar energy and wind mainly in seven out of the 29 Indian federal states, namely in the south and west of this massive sub-continent. The plan is that "green corridors" in the form of power lines, overhead cables and substations will feed sustainable electricity into the urban centres of business. With the help of KfW more than 6,500 kilometres of new power lines are being laid, and more than 80 substations built or renovated. Some 37 million people will benefit from this. Supporting India in expanding its use of renewable energies is making an important contribution to international climate protection. This is because the country is one of the largest producers of carbon dioxide worldwide. India currently ranks third on the list of the world's highest greenhouse gas emitters behind China and the USA. Roughly two thirds of Indian electricity is still based on fossil fuels, predominantly from coal-fired power plants. The green corridors are designed to help bring about a significant increase in the share of electricity produced on a sustainable basis. People in vulnerable coastal regions of Bangladesh now have permanent shelters at their disposal. KfW has so far funded around 450 multi-purpose buildings which are used as schools in everyday life. Where can you go when rivers burst their banks, villages are flooded and cyclones are on the way? People in vulnerable coastal regions of Bangladesh now have permanent shelters at their disposal. Since 1991 and on behalf of the Federal Ministry for Economic Cooperation and Development (BMZ) KfW has financed roughly 450 shelters. During normal everyday life the buildings are primary schools. In many regions they are the only permanent structures along the coast. The access roads have been paved, which is a rare sight in a region that virtually only has unpaved or dirt roads, which become impassable with every flood. The majority of the country lies just above sea-level. The coastal regions in particular are regularly affected by flooding. Since the 1960s, cyclones have claimed the lives of around half a million people in Bangladesh. Due to climate change and the warming of the oceans, the number and strength of the cyclones are likely to increase. One of the most powerful in recent years was "Sidr" in 2007, when the wind reached speeds of up to 215 kilometres per hour. Yet it caused less damage than many of its predecessors – thanks to the measures already introduced. KfW is currently financing the construction of 50 buildings with around EUR 11 million from the BMZ's Energy and Climate Fund. Two-storey multi-purpose buildings are being erected so that men and women can stay overnight on different floors in an emergency. This enhances personal security. Up to 1,500 people can be accommodated in each shelter, a number set to rise to as high as 75,000 overall in the future. There is also enough space for livestock. This makes it easier for farmers to make the decision to leave their farms and seek shelter, for the livestock are their key to survival after a natural disaster. The buildings are often the only public facilities in the area. Just how urgently these places are needed is demonstrated by the fact that residents have used some of the buildings before their official opening ceremony. The construction measures are accompanied by training too, to ensure that the buildings are maintained properly and the early-warning systems work. As part of the project, the Asian Development Bank (ADB) among others is providing more than EUR 40 million for the construction of market halls and roads in the same region. Using funds from the Green Climate Fund (GCF), KfW will be financing additional shelters along the coast of Bangladesh. KfW is helping its Asian partners to finance a number of projects and programmes. Selected examples of projects from the fields of vocational education, urban development, climate and energy are described below. A good education is giving young people a foundation for their professional future in Afghanistan. But up until now, there has been a shortage of high-quality institutions offering formal vocational training. KfW is therefore promoting the expansion of vocational colleges. Bangladesh numbers among the countries that are already feeling the effects of climate change. For fear of floods, thousands of coastal residents have fled to larger cities, like to Barisal, where they often live in slums. The development of infrastructure is failing to keep pace with the population growth. Ponds are being filled in to gain land for building on. The sewers in the city are not able to fulfil their drainage function properly because of waste. Due to longer and heavier rainfalls there is a growing risk of flooding in the city. KfW is supporting risk analyses to help the city administration develop a strategy against the consequences of climate change. Based on this, KfW is financing promising adjustment measures. Water losses used to be a daily occurrence in Batumi, the third-largest city in Georgia. The infrastructure was outdated. KfW is helping this city on the Black Sea coast provide hygienic drinking water for its 130,000 inhabitants, optimise water use and dispose of waste water in an environmentally friendly manner. The Georgian energy sector plays a key role in the country's economic development. Within the context of the Black Sea Energy Alliance KfW is supporting the country in expanding its power network and modernising its infrastructure. This makes it easier to exchange electricity with neighbouring countries. India has pledged to significantly expand solar energy. One of the biggest projects and the “beacon” of the German-Indian cooperation is Sakri, the 125 MW solar power plant. The solar power plant financed by KfW supplies 220,000 households with electricity. To connect its solar, wind and hydro power stations to its electricity grid, India has to invest heavily in expanding electricity transmission lines. KfW is supporting this strategic large-scale project on behalf of the German Federal Government with a total promotional sum of EUR 1.15 billion. 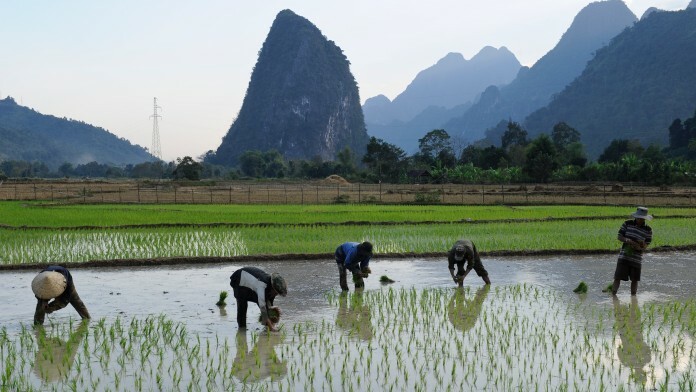 Laos is putting an enormous amount of effort into alleviating its national poverty. KfW is helping the Asian country to set up a modern, demand-driven range of vocational training opportunities. A good vocational education makes entering the labour market easier and offers young people the chance of a successful future. In Myanmar, KfW is providing support for a training centre for car mechanics, mechatronics engineers and other technical professions. Pakistan's largest river, the Indus, supplies millions of people with drinking water and water for their fields. Yet 70 percent of the river's water comes from the glaciers in the Himalayas, which are retreating on account of climate change. KfW is helping to observe changes in life-giving glaciers and their meltwaters. 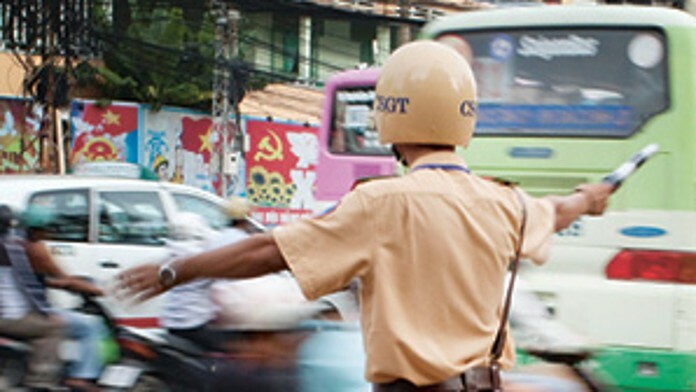 Home to more than 9 million inhabitants, Ho Chi Minh City is the biggest city in Vietnam. Since the car has been the transport method of choice up until now, traffic jams are a daily occurrence. A modern suburban railway system should help to remedy this situation. KfW is financing the construction of a line in the planned metro system. Energy is vital for development. Companies, hospitals, schools and homes – they all need electricity. Only sustainable use of energy guarantees environmentally friendly growth. KfW supports greater energy efficiency and renewable energies. The trend of urbanisation is continuing, and by the end of this century some two-thirds of people in Asia will be living in cities. This brings a whole host of new challenges. KfW promotes the sustainable development of cities. Vinod Thomas, evaluator at the ADB, was a guest speaker at the KfW Development Forum. KfW Development Bank pledged almost EUR 2 billion in 2015 for projects in Asia. On behalf of the German federal government it is working with many countries in Asia to fight poverty as well as protect the climate and the environment. 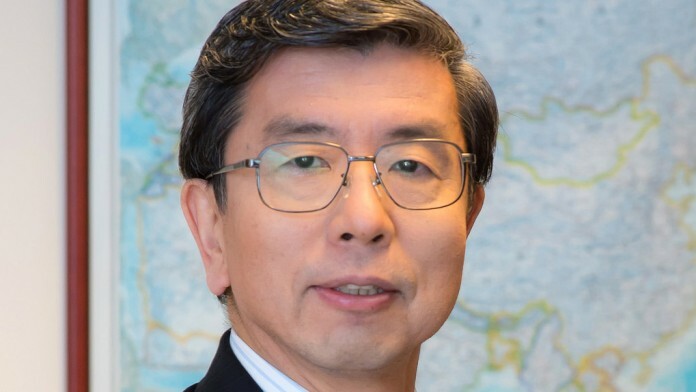 "What happens in Asia on climate change is of global importance"
Takehiko Nakao is President of the Asian Development Bank (ADB) since 2013. In an interview he talks about the greatest challenges for the future of Asia.